Any page of your website can be assigned a tag so they can be grouped by themes. It is sometimes useful to have an overview of all the existing tags on your website, to create new ones, to modify them and to delete them. 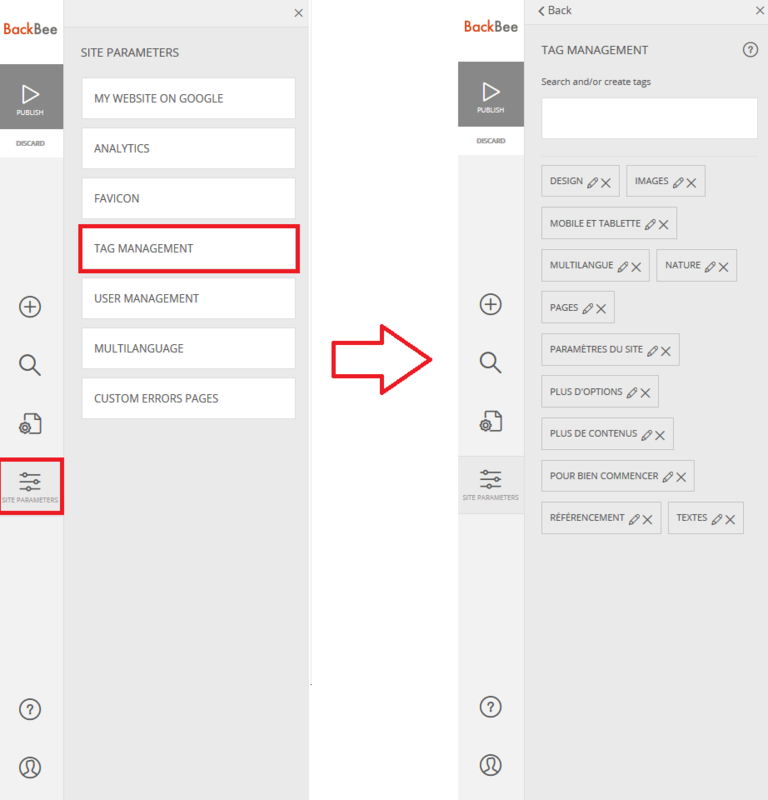 Go to "Site Settings" and then "Tag Management"
In the "Tag Management" section you can find all the tags that were created on the website. The search bar lets you search and create new tags. Each existing tag is symbolized by a strip. These tags can be edited or deleted. If a category is modified, this change will be automatically taken into account everywhere on the site. If a tag is removed, it will no longer be possible to group and display pages using this tag.